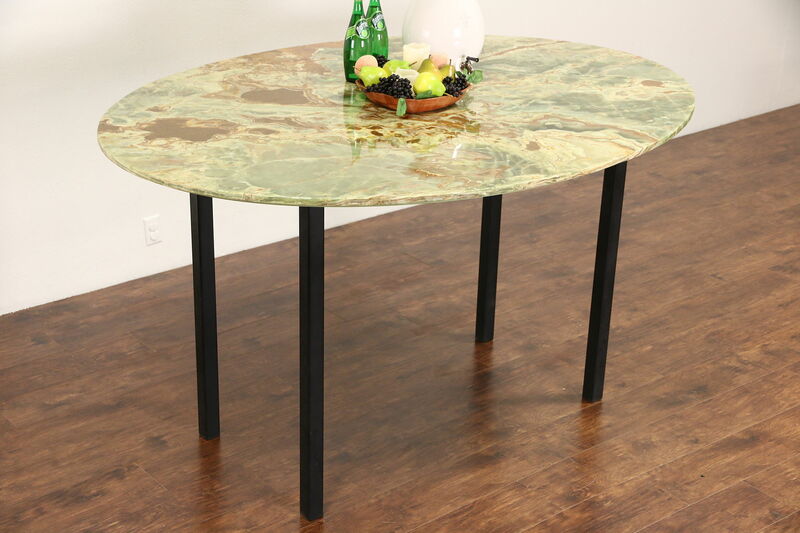 A wonderful oval bar height pub table is genuine semiprecious onyx with vivid natural grain. Polished and sealed to resist stains, there are various natural cavities and restorations that have been epoxy filled for easier care. The removable base is iron, rigid and strong with a satin ebony finish. About 25 years old, size is 75" long 56" wide and 42" tall. Two sets of four bar stools are priced separately, call or email for availability.